I have worked so much on numerous pallet projects that it seems to be inspiration now days. This pallet thing is such a great stuff that it has never disappointed me. It is damn handy in recycling and making countless furniture items. We have made a large number of pallet wooden items that have become the integral part of our daily lives. Wooden planters are also one of them. These wooden planters upcycled with pallet wood are way far better that the conventional mud pots that are still used in gardening. Here we would be discussing about all the pros and cons plus their practicality of wooden pallet planters. 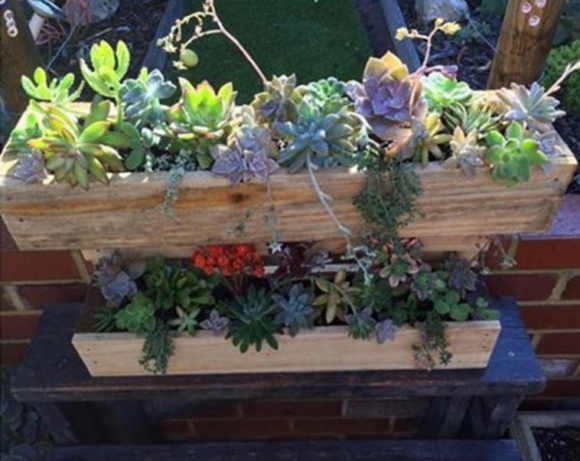 Here in this project you can see a trio of delicate pallet planters. If you want something exciting and also cost effective in your house, you are at the right place. The wooden planter is what you are looking for. Look at their structure, they contain multiple storey and some space inside them where you can fill the soil and plant your favorite flowers or whatever you wish to. They also have ample empty space for cross ventilation and light reflection which are the necessary elements for plant growth. 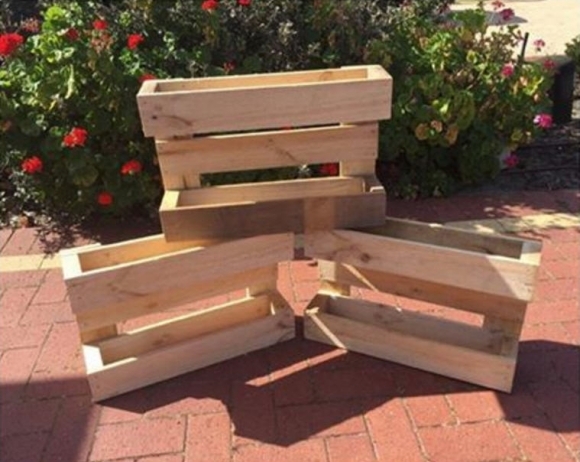 So these pallet planters are designed pretty according to the needs of a typical planter. 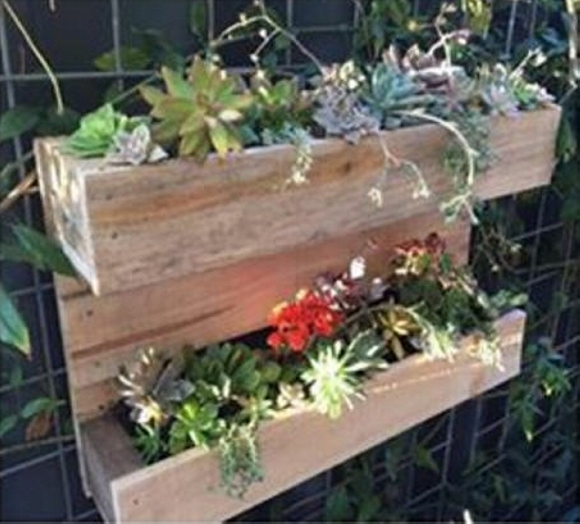 In the last, we see a vertical garden where once again the same wooden pallet planter is used for growing several multi colored flowers. This planter is quite huge in size and is installed along the wall. 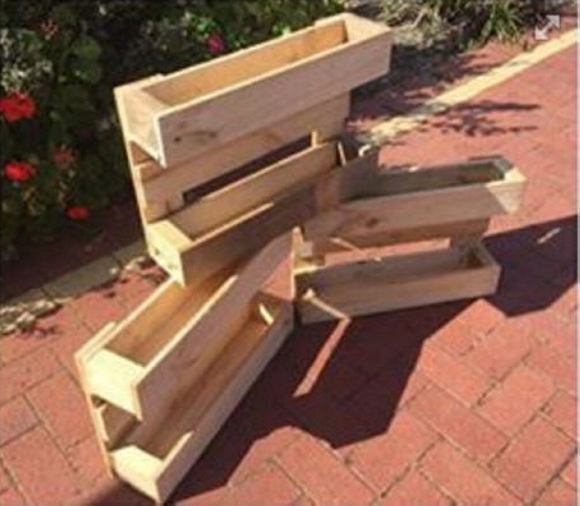 Some straight pallet planks are used in making this stylish wooden planter. The box rectangular box shaped pallet planter is well equipped with all the necessary shape dimensions which are essential for plant growth. 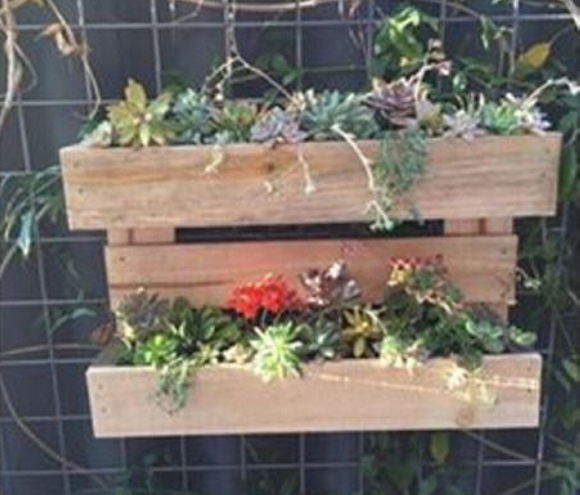 So try making these wooden pallet planters at your own, this would be a blissful experience.